This time in our society is unlike any other. People communicate daily without ever having to speak face to face, news breaks around the world in a matter of seconds, and favorite TV shows can be viewed at our convenience. We are, simultaneously, a people of connection and isolation. As Christians, how do we view our faith and personal ministry in this culture? Adam Thomas invites you to explore this question using his unique, personal, and often humorous insight. Thomas notes, " The Internet] has added a new dimension to our lives; we are physical, emotional, spiritual, and now virtual people. But I believe that God continues to move through every facet of our existence, and that makes us new kinds of followers. 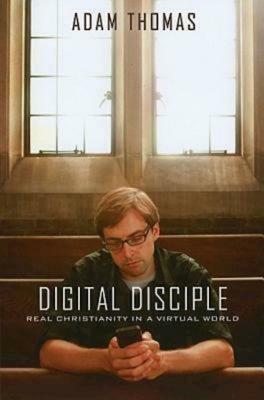 We are digital disciples." "I gain renewed hope for the future by looking at a new generation of emerging Christian leaders like Adam Thomas."